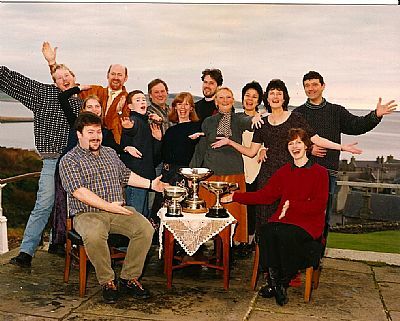 The Inaugural Meeting of the Stromness Drama Club took place on Thursday 16th November 1989. Committee - Connie Buchan, Jean Robertson, Maisie Smith, Fraser Dixon and Juliet Kepl. “The Tram Track Tragedy” by Michael Kilgarrif. Directed by Fraser Dixon. 1992 SCDA one-act festival:“Gosforth’s Fete” by Alan Ayckbourn. Directed by Fraser Dixon. With captain Dennis Bullen, and team members Phyllis Brown and Juliet Kepl, the Club won Grampian Television’s “Top Club 1992’ knock-out quiz competition, together with a prize of £3,000 which they donated towards the building of the McMillan Cancer Ward at the Balfour Hospital, Kirkwall. On their way to victory they defeated Peterhead Jobcentre, Urquhart SWRI, Aberdeen Customs and Excise, and, finally, Aberdeen ‘Golfing Greats’. Looking for new material, the Club organised a one-act play competition, with the judges being Penny Aberdein, Vivia Leslie and Marjorie Linklater. The judges placed “Eating the Apple Core” (author?) as the winner. Placed 2nd was “An Educated Guest” written by Jeremy Hope, and 3rd “The Horseman’s Word” by Duncan McLean. Pantomime “Ali Baba”. Directed by Dennis Bullen. “An Educated Guest” by Jeremy Hope. Directed by Fraser Dixon. Pantomime “Pinocchio”. Directed by Phyllis Brown. “Last Tango in Little Grimley’ by David Tristram. Directed by Phyllis Brown. Placed second, winning the Firth Trophy. Performed at the Northern Divisional Finals in Aberdeen. Pantomime “Cinderella”. Directed by Phyllis Brown and Dennis Bullen. “The Measures Taken” by Bertolt Brecht. Directed by Graham Garson. “Stromness Drama Club’s Finest Moment”. With a cast of Phyllis Brown, Brian Flett, Chris Meek and Sweyn Hunter, together with the chorus of Jim Scott, Zoe Eccles, Ingirid Morrison and Megan Eggeling, as well as Tim Geddes as pianist, they were placed third overall at the Orkney Preliminary Festival. According to the rules of the competition, however, only one team from a club can go through to the Divisional finals. As the first two placed plays were both from Palace Players, Stromness were on their way to the Northern Divisional finals in Montrose. After a second place, they were then on their way to the Scottish Finals in Inverness. And they won! - a first for both the Club and Stromness. “Cheshire cats did not have a look in when Graham stepped forward to receive the Wheatly Tassie! We were amazed; everyone was generous in their congratulations; we phoned home to incredulous families; we showed our teeth to flashing cameras; we were heading for Wales!”Review by Phyllis Brown. So now they were on their way to represent Scotland in the British Finals at Theatre Clywd, Mold, Wales. Sadly they did not win, but their amazing achievements are not forgotten, and are regarded by the club members as ‘our finest moment’. “The Sea King’s Daughter” by George Mackay Brown. Directed by Graham Garson. Winners of the Challenge Cup at the Orkney Preliminary Festival; a first for the Club. Awarded the Kennedy Thompson Quaich for Best Stage Presentation at the Northern Divisional Finals in Blairgowrie. “Accidental Death of an Anarchist” by Dario Fo. Directed by Graham Garson. Interestingly, the performance of this production took place during the week that Fo was awarded the Nobel Prize for Literature, but was otherwise not connected to the event in any way! With captain Dennis Bullen, and team members Phyllis Brown and Graham Garson, the Club again entered Grampian Television’s “Top Club’ knock-out quiz competition. Unfortunately they were unable to repeat the level of success achieved 5 years earlier. Pantomime “The Pied Piper of Hamnavoe”. Directed by Phyllis Brown. “A Different Way to Die” by Lynn Brittney. Directed by Graham Garson. “The Owl and the Pussycat went to See …. ” by Sheila Ruskin and David Wood. Directed by Jane Hunter. 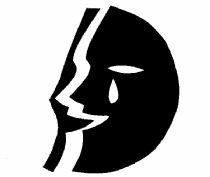 2000 SCDA one-act festival:“Backdoor Challenge”. Written by Imogen Kerr. Directed by Imogen Kerr and Phyllis Brown. Won the George Scott Trophy for the best set which was designed by Antony Eggeling. “The Good Clown and The Bad Clown” by Renata Allen. Directed by Graham Garson. This was a children’s production, with a large cast, to inspire interest before casting “Oliver”. “Oliver”. Directed by Jane Hunter. “Albertine in Five Times” by Michel Tremblay. Directed by Graham Garson. Challenge Cup winners at Orkney Preliminary Festival. Orkney qualifiers for Northern Divisional Finals were judged this year in Orkney due to Foot & Mouth Disease restrictions. However, they were not placed. “Our Day Out” by Willy Russell. Directed by David Fidler. “The Sound of Music”. Directed by Graham Garson. Hamnavoe - “Rosencrantz and Guildenstern” by W.S.Gilbert. Directed by David Fidler. Challenge Cup winners again at Orkney Preliminary Festival. Performed at Northern Divisional Final in Kirkwall. Greenvoe - “Lone Star’ by James McLure. Directed by Graham Garson. Placed 3rd at Orkney Preliminary Festival – won A C Hunter Cup. Youth - “We’ll be home tomorrow” by Wayne Denfhy. Directed by Jane Hunter. Winners of Orcadian Youth Trophy. Performed at Northern Youth Divisional Finals in Aberdeen. Pantomime “The Three Musketeers – Le Panteau”. Directed by Sweyn Hunter. Runners-up at Orkney Preliminary Festival – won Firth Trophy, as well as the Jean Campbell Memorial Trophy for best play depicting Scottish Life and Character. Performed at Northern Divisional Finals in Dunkeld. Youth - “Spud Ferret and the Case of the Stolen Diamonds” by Jeff Gallagher. Directed by Jane Hunter. Third overall at Orkney Preliminary Festival. Winners of the A C Hunter Cup and the Orcadian Youth Cup, as well as the George Scott Cup for the best stage setting. Performed at Youth Festival in Arbroath. Musical “Bugsy Malone”. Directed by Jane Hunter and Graham Garson. Hamnavoe – “Creatures of Impulse” by W.S. Gilbert. Directed by David Fidler. Greenvoe - “Marcel pursued by the Hounds” by Michel Tremblay. Directed by Graham Garson. Took 2nd place at Orkney Preliminary Festival, winning the Firth Trophy. Performed at Northern Divisional Finals in Aberdeen. Youth – “Kids” by John Morgan. Directed by Niamh Delaney, Colin Nicolson and Finlay Harnden. Pantomime “Aladdin”. Directed by Graham Garson. Hamnavoe - “The Laramie Project” by Moisés Kaufman. Directed by Graham Garson. 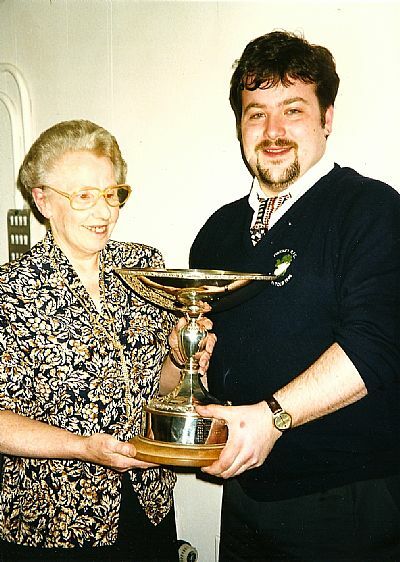 Placed 2nd in Orkney Preliminary Festival – won Firth Trophy. Performed at the Youth Divisional Finals, but where not placed. However, they went on to perform for a week at “The Zoo” in the Edinburgh Festival Fringe 2005. Greenvoe - “Bouncers – 1990s remix” by John Godber. Directed by Graham Garson. Although placed only fourth at the Orkney Preliminary Festival, Orkney had three teams qualifying for the Northern Divisional Finals, and ‘Bouncers’ went through to the Arbroath Northern Divisional Finals as 1st reserves. They won, and went on to the Scottish Finals in Stirling, where they were placed a very creditable second. Pantomime “Bobby Shaftoe”. Directed by Phyllis Brown. “Buck Fever” by Bill Bozzone. Directed by Graham Garson. Greenvoe (Youth) - “The Retiring Highwayman” by Michael Legat. Directed by Martha McGill. Hamnavoe (Youth) - “Is it Time Yet, Dad?” by Wayne Denfhy. Directed by Niamh Delaney. Musical “Disco Inferno”. Directed by Graham Garson. Greenvoe (Youth) - “Bouncers 1990s remix” by John Godber. Directed by Graham Garson. Took 3rd place at Orkney Preliminary Festival – won A C Hunter Cup, and Orcadian Youth Trophy. Performed at Dunkeld Northern Divisional Finals, Youth Divisional Finals in Blairgowrie and the Edinburgh Festival Fringe 2007. Pantomime “Peter and The Wolf”. Directed by Jane Hunter and Fiona Matheson. “Ladybirds” by Tony Layton. Directed by Phyllis Brown. Musical “Back to The Eighties”. Directed by Phyllis Brown, Melanie Slater and Lynn Procter. “Blood Brothers” by Willy Russell. Directed by Rhiannon Reilly. Hamnavoe - “Topsyturveydom” by W S Gilbert. Directed by David Fidler. Greenvoe - “Calling” by Colin and Mary Crowther. Directed by Phyllis Brown. “The Storm Watchers” by George Mackay Brown. Directed by Graham Garson. Placed 3rd at the Orkney Preliminary Festival, winning the A C Hunter Cup. Also won the Jean Campbell Memorial Trophy for best Play Depicting Scottish Life and Character.